The Somerset Coal Canal (originally known as the Somersetshire Coal Canal) was a narrow canal in England, built around 1800 from basins at Paulton and Timsbury via Camerton, an aqueduct at Dunkerton, Combe Hay, Midford and Monkton Combe to Limpley Stoke where it joined the Kennet and Avon Canal. This gave access from the Somerset coalfield, which at its peak contained 80 collieries, to London. The longest arm was 18 miles (29 km) long with 23 locks. 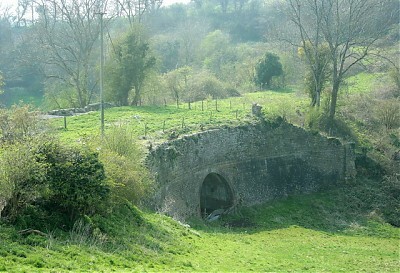 From Midford an arm also ran via Writhlington to Radstock, with a tunnel at Wellow. A feature of the canal was the varying methods used at Combe Hay to overcome height differences between the upper and lower reaches of the canal, initially by the use of Caisson locks and when this failed an inclined plane and then a flight of 22 locks. The Radstock arm was never commercially successful and was replaced firstly with a tramway in 1815 and later incorporated into the Somerset and Dorset Joint Railway. The Paulton route flourished for some years until the coming of the railway and closed in 1898. Much of the course of the canal has since been used for a railway. For a full selection of images for this canal visit the canals Image Gallery. Here you can read Joseph Priestly's 1831 description of the canal from his Historical Account of the Navigable Rivers and Canals and Railways of Great Britain.